Do followers really matter on Pinterest? Over the years Pinterest has positioned itself more as a search engine then a social networking site and when the smart feed was originally introduced there was less emphasis placed on followers because you no longer saw pins chronologically from those you followed. The pins you saw in the smart feed was a combination of pins from topics/people you followed, suggested pins based on your interest and promoted pins. Less emphasis was placed on followers and profiles without a lot of followers could still do well on Pinterest. 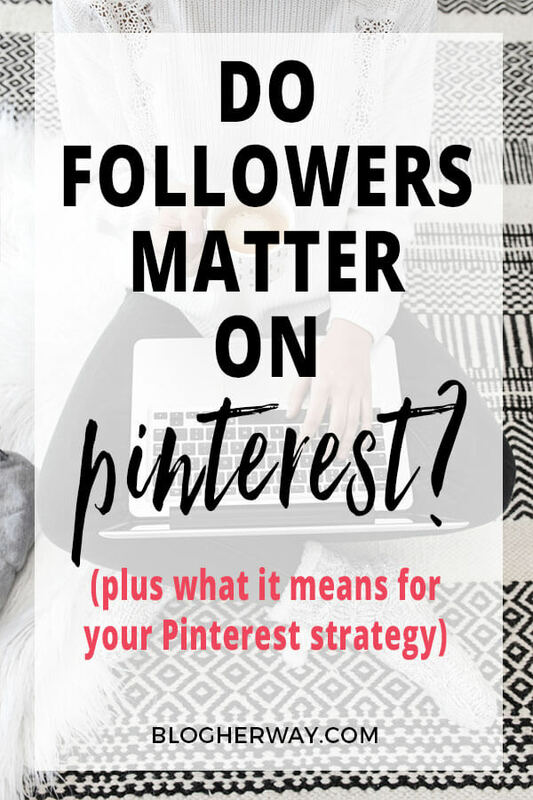 The question now is with the introduction of the Pinterest followers tab in March 2018 do followers matter more now than they did before? 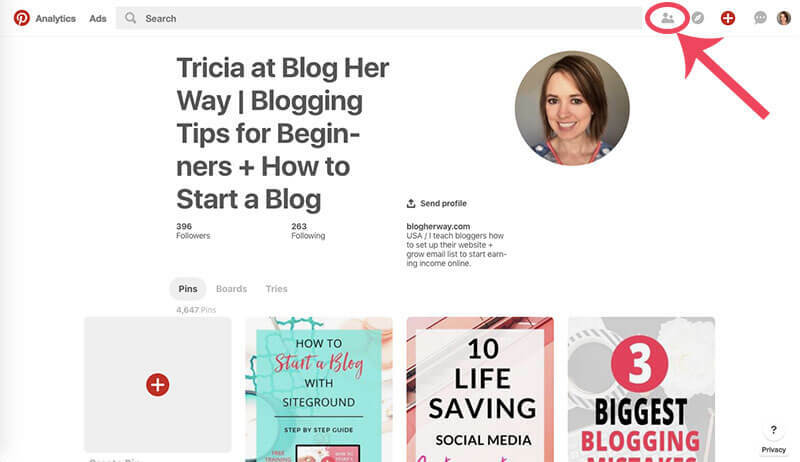 Keep reading to learn more about the new Pinterest followers tab and what it means for your blog. What is the Pinterest Followers Tab? 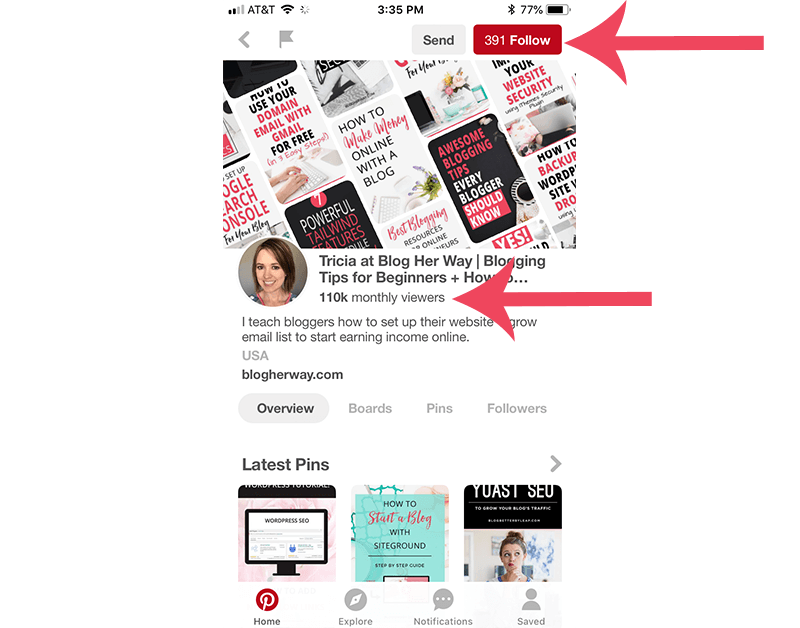 The Pinterest followers tab is a new feed of pins that is separate from the smart feed that shows you pins chronologically from those you follow. This new followers tab is a throwback to how Pinterest was in the beginning. When Pinterest was shiny and new your feed consisted of content from those you followed on Pinterest. Then the Smart feed was introduced, which was designed to show you curated content based on your interest and what you engaged with. There was no guarantee that the content you posted would be shown to your followers. 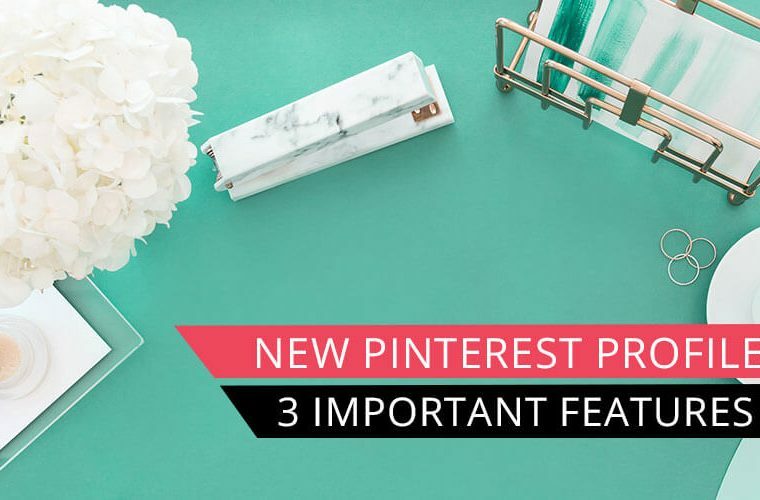 Up until now with the Pinterest Smart feed it has been preached that followers don’t really matter that much on Pinterest because there was no guarantee that your followers would even see your content. 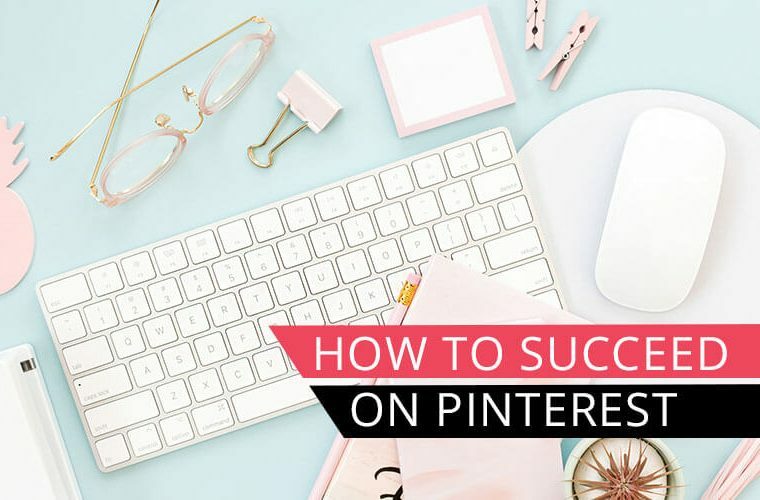 What this means is that a newer account with a small amount of followers can still do well on Pinterest as long as you focus on keyword optimization to help your content be found in search results. After all Pinterest is more of a search engine then it is a social network. People come to Pinterest looking for ideas and to find answers for their questions. Now here comes the question. 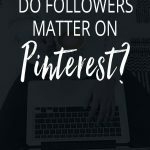 Do followers matter on Pinterest? 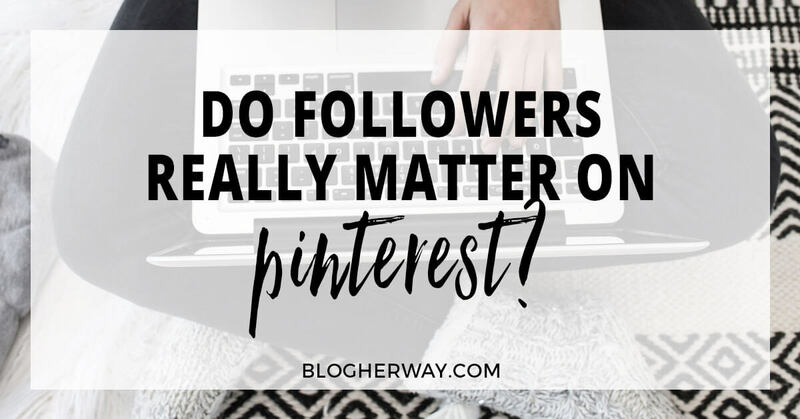 Before I answer that question lets learn more about the Pinterest followers tab. 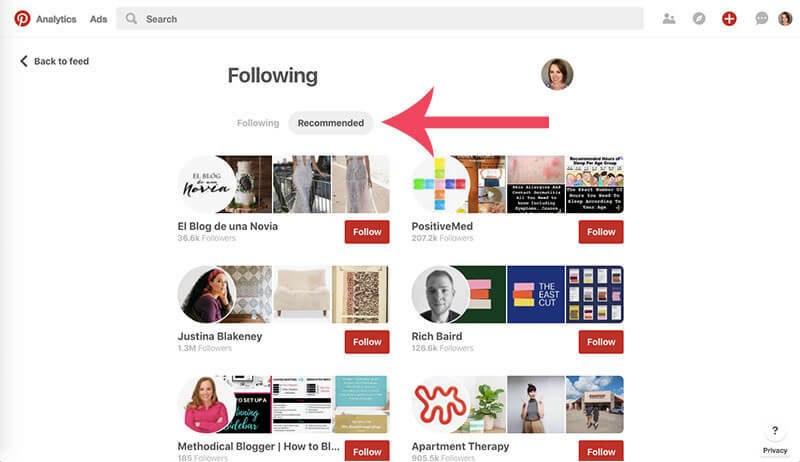 You can access the new Pinterest followers tab by clicking on the people icon in the upper right hand menu. The Pinterest followers tab is displayed chronologically. Note: I have found that if I have had my Pinterest tab open and have been using Pinterest for a while that if I want to see the most recent pins from those I follow that I have to refresh the page. You will also see promoted pins in the followers tab. At the top of the followers tab you will notice the people you follow. When you click through you will see a list of those you follow. You can easily choose to unfollow someone from this screen. You also have the option to see profiles that Pinterest recommends to find new profiles to follow. Because the followers tab is chronological it is important to be consistently pinning throughout the day. 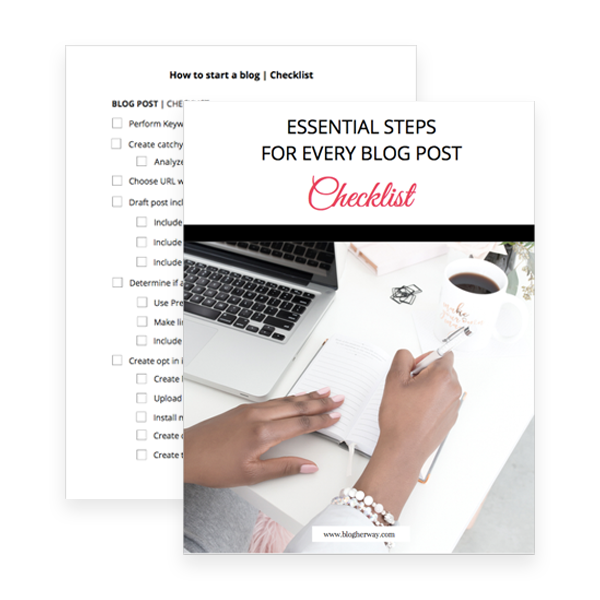 I personally have to use a Pinterest scheduler and I highly recommend Tailwind. Tailwind allows me to schedule my content for the week that way I can keep my profile active, but I don’t have to personally be on the platform all the time. Tailwind also offers the Smart schedules, which recommends optimal times to pin based on their analytics and when people have engaged with your content in the past. Click here to try Tailwind and get 100 free pins. How does the Pinterest followers tab affect your Pinterest strategy? I still believe that Pinterest followers is more of a vanity metric, but the updated Pinterest guidelines help shed some light on this question. Today I am only going to talk about what the guidelines say about followers, but check out my post on how to be successful on Pinterest (Updated Pinterest best practices for 2018) to learn more about Pinterest’s best practices guidelines. 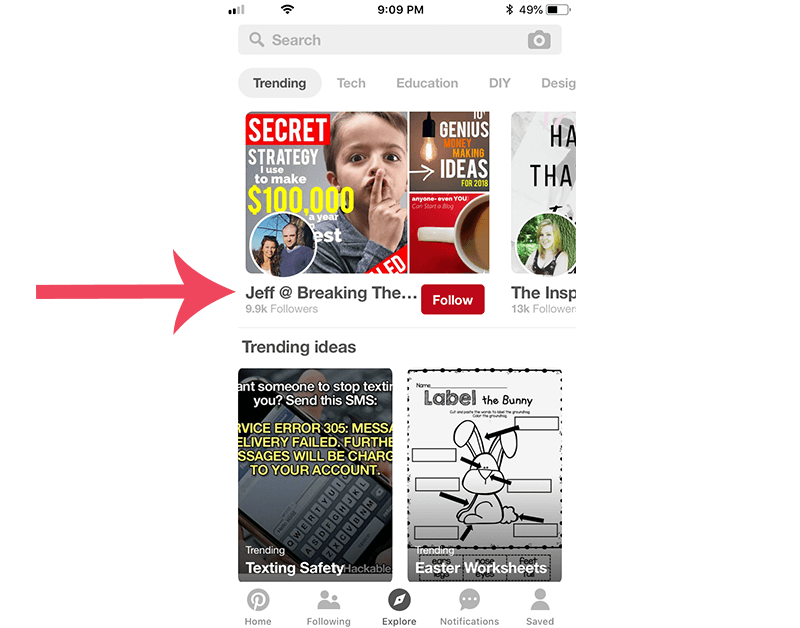 In the guidelines we learn that Pinterest shows your content to your followers first within the followers tab and within the Pinterest Smart feed. If your content does well with those who follow you then Pinterest will be more likely to show your content to others. Pinterest states that you should be actively trying to grow your Pinterest following. One technique is to drive people directly to Pinterest through email or other social media platforms. The more engagement you get with your content the better. I like to include a direct link to a pin in my emails. 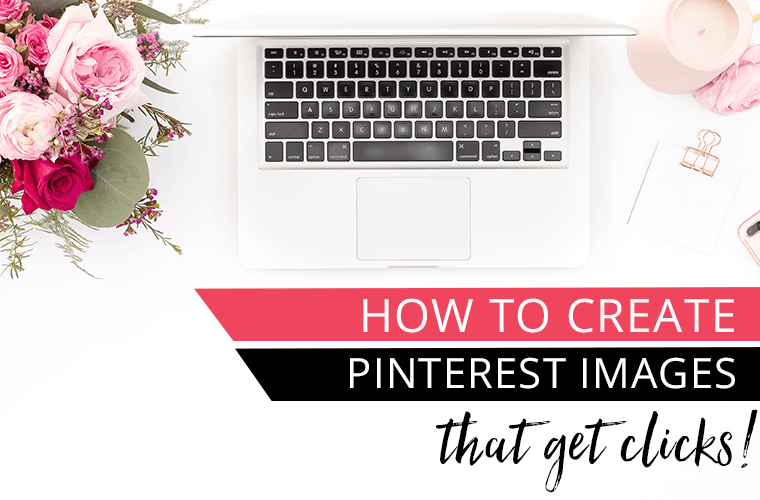 On my blog posts I use the call to action “make sure you pin and SAVE this post for later” with a direct link to a pin on Pinterest for that post. What is nice is you do not have to do all the heavy lifting by yourself. 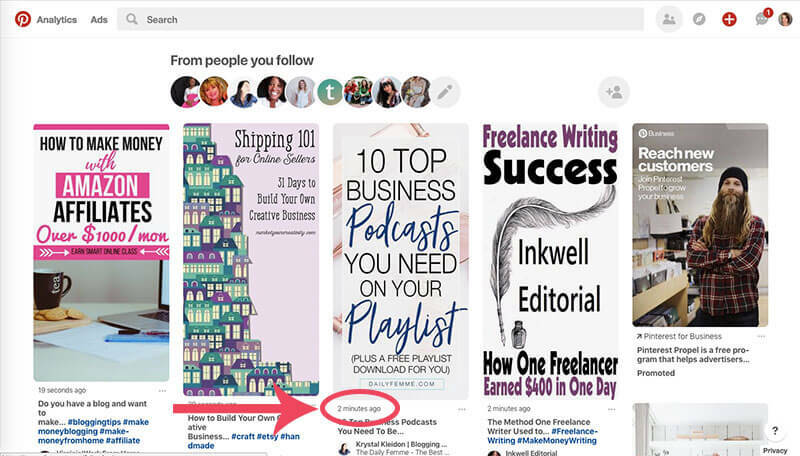 Pinterest is trying to help you grow your followers by recommending you to other pinners who interact with your content. I recently clicked over on a pin to Breaking the One Percent and soon after, I saw Jeff’s profile recommended to me in the Pinterest explore section. Because I had just interacted with his content Pinterest recommended his profile to me since I was a prime candidate to follow him on Pinterest. With the new profile design introduced in April 2018 Pinterest added increased elements of social proof. Social proof is a powerful tool where you use hard numbers of those who already follow you to help convince more people to follow you. The second evidence of social proof is the total monthly viewers displayed front and center on your Pinterest profile. This number includes impressions, closeups and click throughs of your content on Pinterest. Social proof is a way to say that because “X number” of people have already chosen to follow you then it must mean that your content is good. Back to the original question. Yes, followers do matter on Pinterest. The new followers tab means that your content can be seen by those who follow you. The more exposure your content gets to your followers and the more they interact with your content, the more your content will be distributed and seen by others. A word of caution. Yes this means you should be actively trying to grow your following on Pinterest, but please do not follow others just to get them to follow you back and then unfollow them the next day. Try to use more call to actions within your content. In your regular emails ask your subscribers to follow you on Pinterest and point them to a board of curated content that you know they will love. 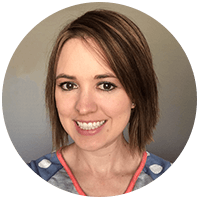 When someone opts in for one of your freebies on the thank you page put a call to action to follow your social profiles including Pinterest. 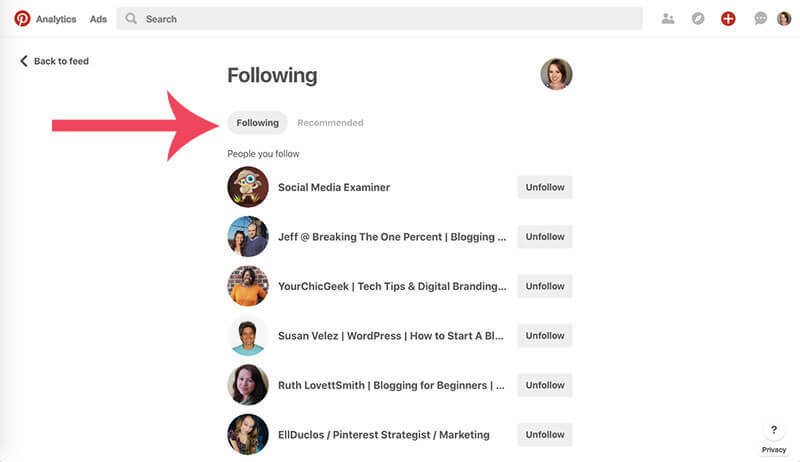 The new Pinterest followers tab is another way for your followers to interact with your content. 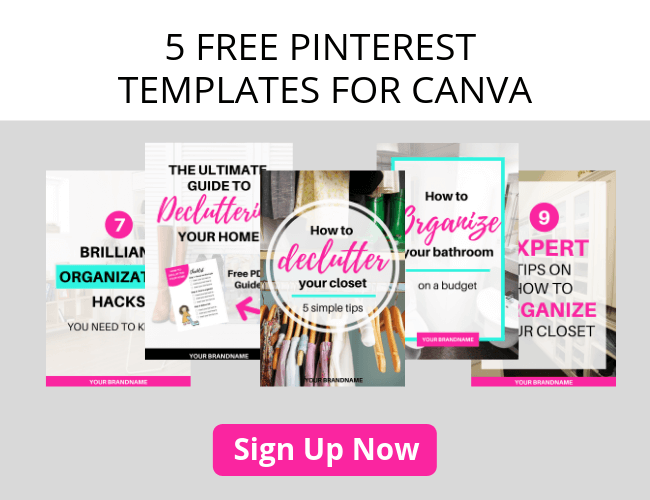 Make sure you are actively trying to grow your Pinterest following. Since the followers tab in chronological it is important for you to be regularly pinning throughout the day. 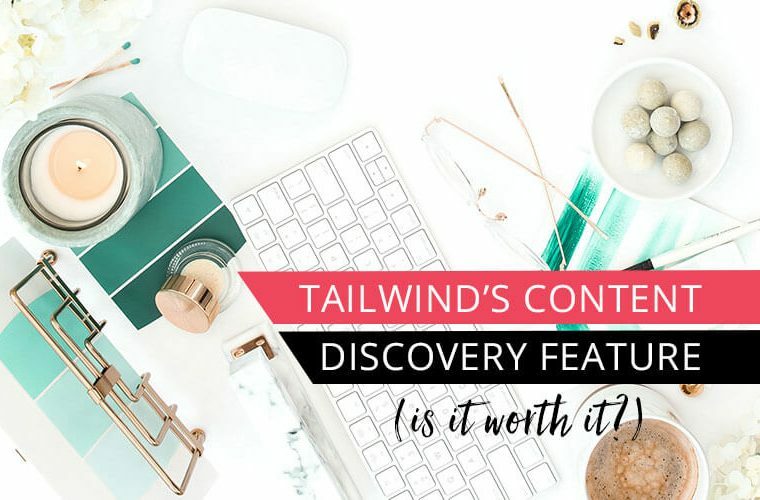 I use Tailwind to help schedule my content. Click here to get 100 free pins and try Tailwind today. Try it today! Great post on Pinterest followers. They keep tweaking and making the platform better. I’m in my second month with 1.5k followers and experimenting different strategies.